1. Wash the beef, drain. Boil the meat along with ginger, cloves, cinnamon, and nutmeg until tender. 2. Put the potatoes, carrots, broccoli, Mrica powder and salt, and cook until the vegetables cooked. 3. Prepare a bowl, pour the soup, arrange tomato slices, sprinkle with celery, onion, and fried onions. 4. Serve with fried chips, lime, pickled cucumbers, peppers, boiled sauce, soy sauce and rice. 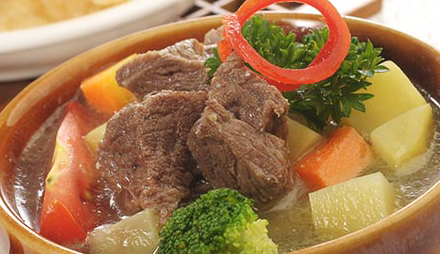 0 Komentar Untuk "Recipe Soups Beef"